Eight children have been treated for injuries after an inflatable slide collapsed at a fireworks funfair. 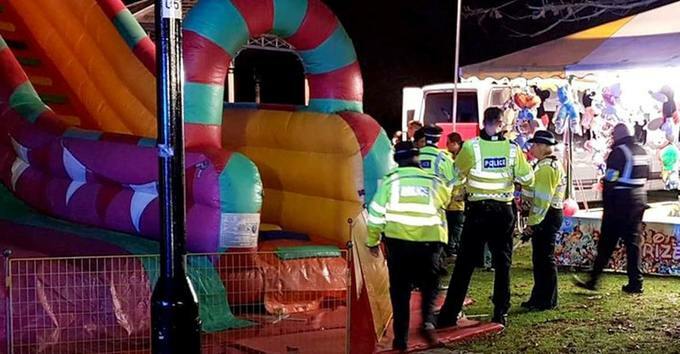 Surrey Police declared a “major incident” at Woking Fireworks after multiple children fell from the “giant inflatable slide” at about 7.30pm on Saturday. The air ambulance helped transport patients to “major trauma centres” after the incident in Woking Park on Saturday evening, South East Coast Ambulance Service (Secamb) said. On Sunday, police confirmed the injuries were not serious and seven children had been discharged – though one child is being kept in for observation. One witness said he was concerned earlier Saturday evening when he saw up to 40 children playing on the “flimsy” slide at once. Chief inspector Steve Schulten confirmed a “number of children” had fallen from the slide and suffered injuries. Eight children were taken to hospital by South East Coast Ambulance Service with potentially serious injuries. The patients were transported to “major trauma centres” in London with the help of the air ambulance before largely being released overnight. Eyewitness Mr Datson, who lives in Guildford, Surrey, said he noticed the flashing lights of ambulances after walking off with friends.